Winning a photography competition is not all experience and technique, but more about crystallising one of the many amazing moments that occur around us every minute of the day. The last five years has seen a photography revolution. 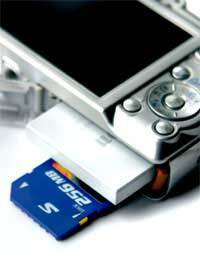 Affordability, choice and ease of use have brought digital photography to the masses. Whether it’s with a pocket point and click camera, an advanced digital SLR or a basic camera phone, it seems like everybody now has the power to snap. Riding this wave of renewed excitement about photography are the many new photo competitions that have sprung up in magazines and websites. These offer amateur photographers a great way to win prizes because they are not reliant on luck but your own creative endeavours. The great thing about photography is that although it takes a trained eye and a lot of time and devotion to be a great photographer, anybody can take a brilliant shot. There are rules in creating a technically accomplished photograph but no set criteria in creating a great shot; ultimately photography is entirely subjective, and it is down to the individual to whether they think it is a great picture or not. Most non-serious photography competitions have a specific theme. This could be a very specific topic like farm animals or be very broad, such as photos that relate to Cornwall. When it is a theme-based competition the theme overrides every other concern. It is a competition to find the best photo of a theme, not the best photo; a simple snapshot that defines that topic brilliantly will always win out over a beautifully assured composition that misses it. Brilliant technique and artistry may be key factors in a specialist photography competition, but by and large photo competitions feature in general interest publications where the audience is largely oblivious to such pretensions - they are just interested in whether a photo makes them laugh, cry or gawp in amazement. Therefore when considering your photo, think about whether it has a universal appeal. The most popular photos are those that provoke an emotional response, such as laughter or pathos. A common mistake of amateur photographers is in trying to include too much in a photo. It is important to keep the composition simple. Competition photos, in particular, should be attempting to convey one strong message or story to the observer and if there are too many other things going in the picture, you risk confusing this point and dampening its impact. For instance, if the aim of a photo is to show a girl laughing then to avoid inferring with the main focus, any other elements that don’t relate to this theme should be pushed away into the background, or just cut out altogether. It is also a common misconception that in order to capture something on camera you must get it all into the frame. Often the opposite is true - by focusing on one key aspect of the subject you can often better convey its beauty, scale or colour. For example a close up photo of a figure dwarfed by a giant leg of the Eiffel Tower will better convey the structure’s majestic scale than a distant shot showing the whole tower from top to bottom. Photography has such a mass appeal because it can crystallise fleeting moments that are otherwise lost forever. These are typically the photos capture the imagination of the public and the judges. Therefore when considering your competition entry, ask yourself whether it captures a unique and special moment or could someone in theory come along after you and take an almost identical image.